The Central Statistics Office (CSO) released the 2016 figures for the System of Health Accounts in Ireland in June, which show not only how much we spent as a nation on health, but also by whom and on what. Although the headline figures tend to garner attention, digging a little bit deeper also uncovers some interesting patterns. Let us briefly remind ourselves of the high-level figures. 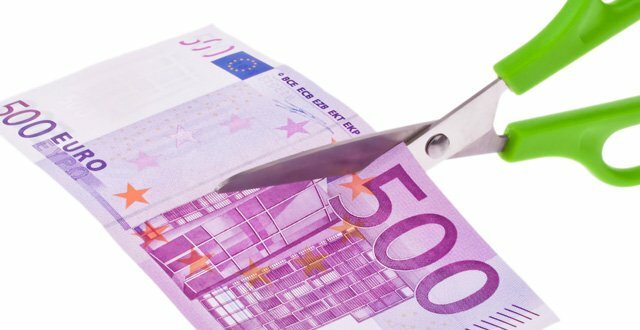 In 2016, we spent €20.3 billion on health, representing 7.4 per cent of GDP or 10.7 per cent of the new measure of GNI (drawn up by the CSO after GDP rose by a quarter in 2015 —the so-called ‘leprechaun economics’ phenomenon). Of this spending, 72 per cent came from Government funding, with 13 per cent coming from out-of-pocket payments and 12 per cent from voluntary health insurance schemes (the remaining 3 per cent was accounted for by other funding sources, including charitable donations). The main providers on which this money was spent were: Hospitals (36 per cent); ambulatory healthcare providers (20 per cent); long-term residential facilities (18 per cent); and retailers of medical goods (14 per cent). The corresponding figures for 2015 (the last year for which international comparison figures are available on the Eurostat website) were 35 per cent, 20 per cent, 19 per cent and 13 per cent, respectively. Despite some suggestions that Ireland is overly-reliant on hospital care, the expenditure figures actually rank us 23rd of 31 European countries in 2015 in terms of the proportion of health expenditure going on hospitals, with 13 countries spending over 40 per cent of their health budgets on hospitals. The proportion of our spending going on long-term residential facilities in 2015 was second only to the Netherlands among 31 European countries, with 21 of those countries spending less than 10 per cent of their health budgets on this provider category. In 2015, we were ranked 27th out of 31 countries in terms of the proportion of health expenditure going towards ambulatory healthcare providers (a category that includes much of what we would consider primary care). However, what is perhaps more interesting in terms of this category — particularly given criticism of the relatively low expenditure on general practice — is the spending on the sub-category of medical practices, which includes GPs as well as consultants, some HSE mental health, primary care and Primary Care Reimbursement Service-funded services, and other public-funded expenditure in relation to the armed forces and prisons. In 2015, we were ranked 26th out of 29 European countries in terms of the proportion of health expenditure going towards medical practices, with 4.55 per cent of the health budget being spent in this area. Interestingly, only seven countries spent 10 per cent or more of their budgets on this sub-category, while eight (including Ireland) spent less than 5 per cent. When it comes to spending on retailers of medical goods, Ireland ranked 23rd of the 31 countries for the proportion being spent on this category, although there is quite a wide range on this measure, from less than 4 per cent in Liechtenstein to over 43 per cent in Bulgaria. It is also interesting to examine the 2016 figures further in terms of where the money comes from for various providers. In this context, significant variations are evident. Not surprisingly perhaps, given its heavy weighting in the overall figures, Government spending follows broadly similar patterns to the overall spending highlighted above. However, out-of-pocket payments display a very different pattern, with less than 5 per cent of these being spent on hospitals, 25 per cent on long-term residential facilities, 41 per cent on ambulatory healthcare providers (including 13 per cent on medical practices) and almost 30 per cent on retailers of medical goods. These figures reflect entitlements to services, whereby those who do not hold medical cards (or GP-visit cards) pay only statutory bed charges in public hospitals (while very few would self-pay in private hospitals), but must pay full charges for visiting primary care providers and a significant excess before the Drugs Payment Scheme threshold is reached. Voluntary health insurance scheme spending displays a very different pattern again, with 78 per cent of spending going on hospitals, reflecting the fact that private health insurance benefits are largely focused on covering hospital treatment. Although many plans in recent years provide more generous cover for day-to-day benefits, less than 5 per cent of the spending goes towards ambulatory healthcare providers. When looking at the figures broken down by healthcare function, the patterns already identified by provider are, to an extent, evident again. In 2016, nearly 55 per cent of health expenditure went on curative and rehabilitative care, 22 per cent on long-term care (health) and 14 per cent on medical goods. Interestingly, just over 3 per cent was spent on preventive care, although in 2015 we were ranked 10th out of 31 European countries for this measure, which tends to account for a low proportion of spending internationally. The above figures show that, while the headlines might be grabbed by a small group of findings, there is much of interest in the CSO’s System of Health Accounts figures and the European comparisons available from Eurostat.